Mike manages a team of CPCS Tester/Trainers who deliver management training from our newly built training centre in Leyland, Lancashire as well as on client's sites throughout the UK. Mike started his working career in the Armed Forces (ARMY) serving as a tank crewman and completed his service career as a helicopter air crewman in 1987. Mike joined Grayston, White & Sparrow (GWS) as a trainee crane operator in 1988 and spent the next 10 years operating mobile cranes up to 130 tonnes lifting capacity as well as working as a slinger/signaller, Crane Supervisor and Appointed Person when required. He has crane operating experience on construction, petrochemical, docks and other associated industry projects. In 1997 Mike joined the safety & training department at GWS and worked as the Regional Training Manager developing and delivering lifting operations training for both internal and external clients. In November 2000 GWS merged with Ainscough Crane Hire to form the UK's largest independent crane hirer and Mike continued expand his experience in various departments with ACH. 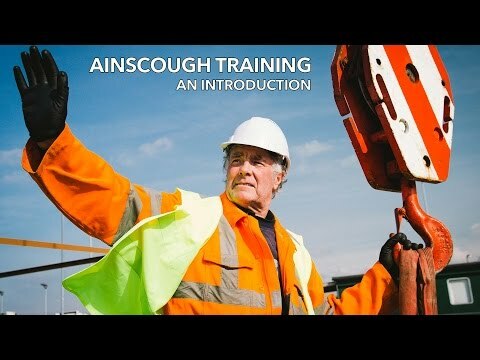 Mike became one of the founding employees of Ainscough Training Services in 2001 and has since become the CPCS Manager responsible for overseeing training for in excess of 2,000 candidates per year. NVQ 4 - Provision of Learning & Development. What is the last film that made you cry? Mary Poppins when I was a kid! What If you had an alternative career what would your fantasy job be? Who would be your ultimate dinner guest?